I moved to South Bend for a one year graduate program at Notre Dame. I had been crossfitting for 3 years prior and knew I wanted to join a gym. I chose CFSB because of the diverse number of classes they offered and it was probably the best decision I made during my year in South Bend My first impression at the box was that the coaches were very involved and concerned with my form, success, and goals. I am a questionative person and every coach was great at answering any I had or directing me to the best source they knew if they weren't sure. I once read that anytime you are selecting between new products or services a good measure to decide by is the one that tries to teach and not sell. 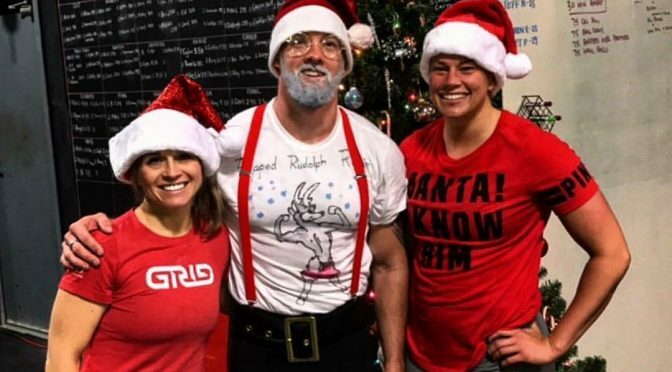 In four years of Crossfit, CFSB goes above and beyond in teaching. The coaches and owners do not buy into just selling the crossfit brand and 50 minute WODs that make you puke for the sake of crossfit. 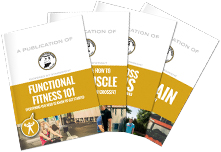 They chose workouts, movements, and programming designed to help and improve the lives and fitness of as many members as they can. This is an invaluable characteristic at a box and very rare in my opinion. My favorite memories at the box are easily the times when I stayed after class and any of the amazing coaches took time out of their day to answer my questions. These range from nutrition to why we did ring rows and not pull-ups. 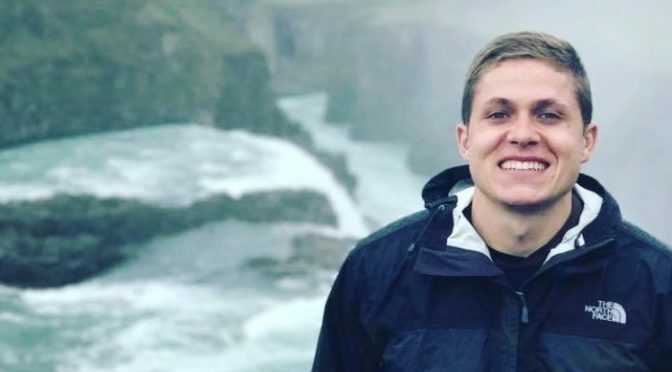 I remember a few times after 50 minute summer Sunday AMRAPs that Brandon spent 30-60 minutes just talking to me about anything I could think of. Unfortunately, I had to leave the box for a new job. However, I will always remember and cherish the teachings and relationships I learned and built at CFSB. If someone wants to not only improve their fitness but also understand the methods and techniques of doing so, this is the place for you. My story begins with another embarrassing physical fitness test failure for the military. It was hard to pinpoint why I failed again. I have been working out, the usual stuff at the usual gym. Days divided up by body part and a grueling 45 minutes to an hour on the (insert whatever cardio torture machine here). Barely passing or failure has been my fitness history, and I was miserable. My workout routine was boring however necessary, year after year, it was the same thing but different gym. Then late one night, I googled gyms and fitness clubs, and Crossfit South Bend came up. I had limited exposure, so I decided to do a little more research into it. 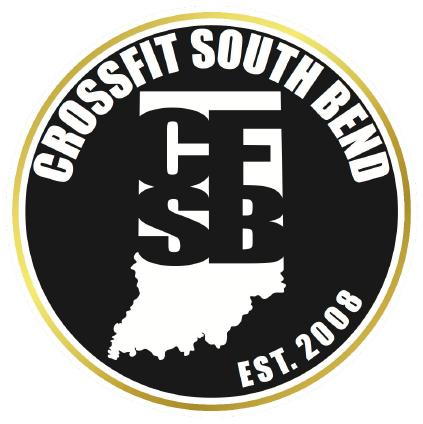 Compared gyms and decided, Crossfit South Bend will be my next journey in fitness. Maybe this will be better, maybe, finally I will find enjoyment in working out... then my anxiety decided, "maybe not, look at those people, lifting all those weights, you couldn't possibly fit in, in a place like that, go back to comfort and boring..." Anxiety won out a few times, I kept going back and forth, arguing with myself, "but why not me!" Eventually after two months of agonizing over my decision, or indecision... I signed up, I was doing this, regardless of what my anxiety said I was capable of, or incapable of. I ended up skipping the fundamentals I signed up for, because as much as I wanted that to be me... I was just not there yet. 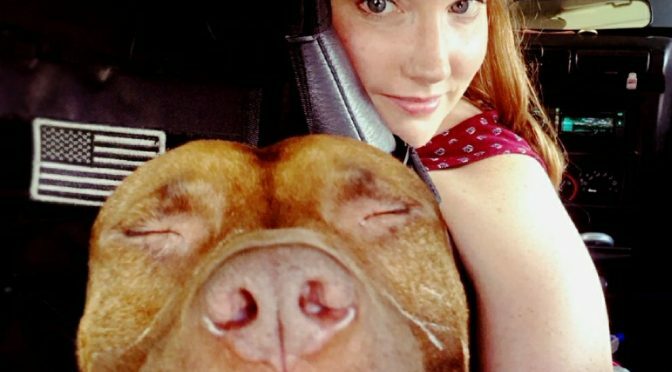 I signed up for the personal training option which was a much better option for me and my anxiety, since like it or not she was along for the ride... but we were doing this. Sitting in the parking lot at 0530 ... I took a deep breath and walked into one of the best decisions of my life. I won't lie... it was tough in the beginning. I had never put my body through such intensity before (other than basic training when I was 18). Even though, looking back, it really was not that intense. Brandon was so awesome to work with. Not once was I judged because I was feeling nauseated, or couldn't go into a full squat, or a number of other things I was unable to do at the time. He worked with me and my limitations, and pushed me more than I would have pushed myself. I could lift more than I thought, I just didn't have the confidence in myself. With each class, and each lift, and the encouragement of each coach, the confidence came, and it stayed. I found a place I felt I belonged, which has always been a problem. Every time I walked in and saw people from all different backgrounds and body types working out together, encouraging each other, cheering for one another, celebrating a PR, I knew, without a doubt, this is my place, these are my people, I have found a place where I belong. I have now been a part of the CFSB family for over 2 years now, and yes, it really is a family. Everyone cares and celebrates together, they notice when you are gone and remember events in your life and ask about them. I have lifted more weight then I thought possible. In the beginning, I firmly believed I would not be able to move anything over 100 pounds, now all of my lifts are over 100 pounds, now that is a warm-up weight. Now, I know, if I put the work and dedication in, I will hit that 150 pound power clean and that 300 pound deadlift. I have also recently ran my second fastest 1.5 mile. The last time I hit it that fast, was years ago and a very much younger me. I also competed in my first powerlifting competition, and yes, I belonged there, among the athletes (which I never in my life would ever call myself, but there I was, an athlete competing). Aside from my own personal gains and new found empowerment, watching others in the gym succeed, hit their goals, make their transformations both physical and mental, is amazing. I am so glad I decided to join the CFSB family, I love who I am now and nobody can tell me I cannot do something, now that I know what I am capable of (even if Carl has to tell me my weights are too light sometimes). so remember, it will be posted here to the members group ahead of time! so make sure you are paying attention! We will have this box there to put everything in! NEWS! 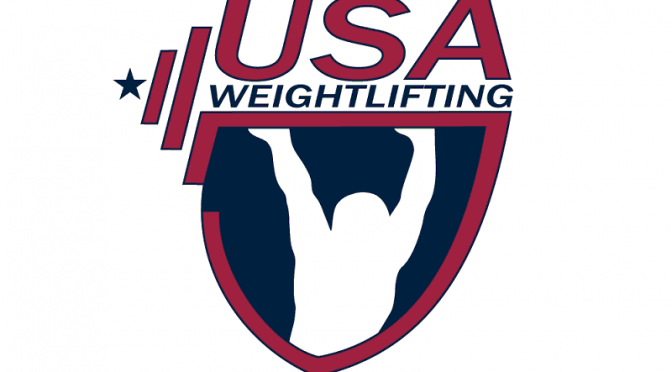 CrossFit South Bend is now a registered USAW Barbell Club Interested in learning more? 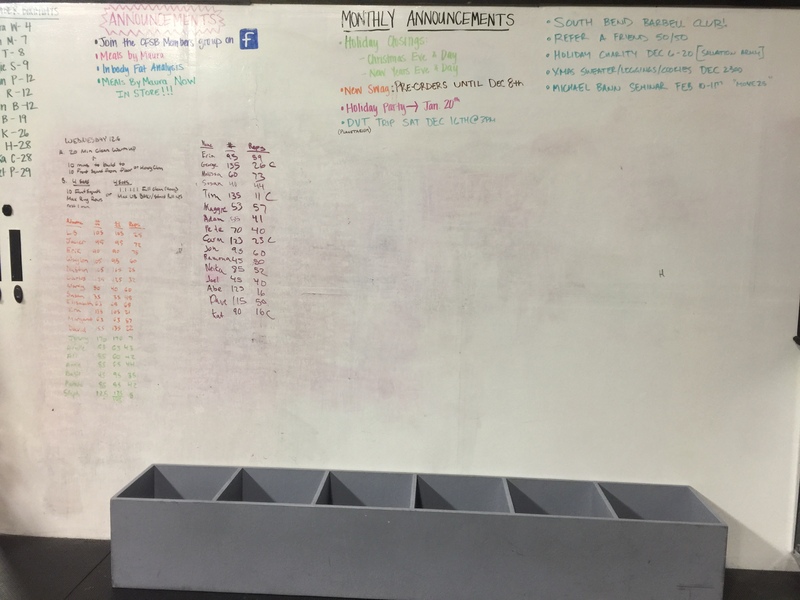 Click here to talk to someone about our Barbell Club! When? 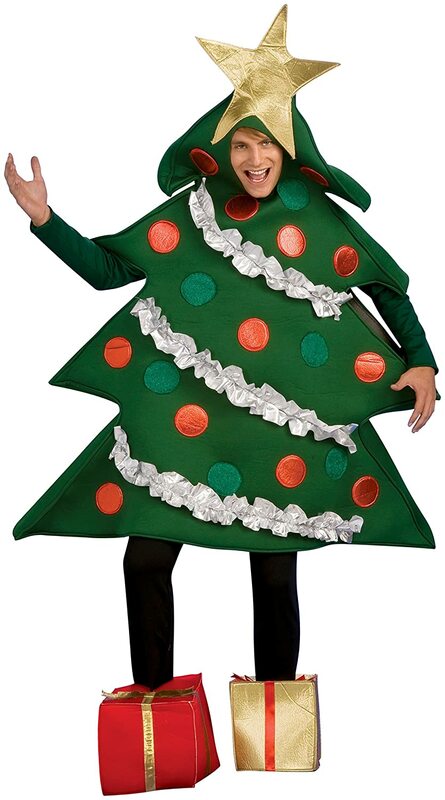 December 23rd @ 9:00 and 11:00 Class Details: We will be doing a Christmas themed workout MAKE SOME COOKIES! Bring some to share! we will have a cookie party after the wod! Wear an Ugly Sweater Wear a Pretty Sweater Wear Leggings Wear this Oh, and a throwback from our complex a few years ago! See you there! 3. "The Stronger, The Better" Bundle, which includes Hooded Long Sleeve T-shirt, 20 oz Matte Black Tumble, and 1lb Bag, our own CFSB Coffee from Local Coffee Roaster Zen Cafe Pre-orders will run through the end of the day Friday, December 8th. Keith Davis is going to give a DVT Presentation for all of us! The Digital Visualization Theater (or DVT) is an entirely digital planetarium. As a planetarium it can provide all the traditional demonstrations of the night sky as seen with the naked eye from Earth. 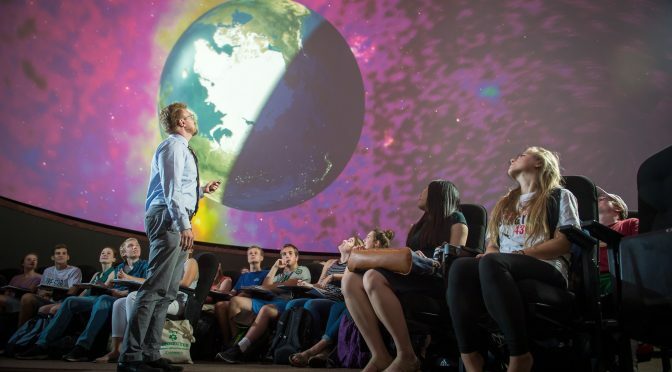 As a digital planetarium it includes a three dimensional model of the universe as astronomers know it, and can take the audience on a personal tour through the universe. This virtual universe is projected above the audience on a 50-foot diameter hemispherical dome for an immersive experience. At 3:00 PM On Saturday December 16th, Keith Davis will offer a live tour of the universe, starting with a demonstration of the night sky from earth, flying by a few planets of the audience’s choice, showing the orbit if the newly discovered comet ISON and flying to the edge of the universe. Keith live narrate the presentation, customizing it to the audience’s questions, and will happily answer questions at the end of the presentation. Parking: On Saturday, there aren’t any events listed on the University Calendar, so you shouldn’t have any trouble parking. The closest spot is in the library parking lot (labeled B2 Library Lot), or the ROTC (in gray on the map, labeled B2) building parking lot right next to Jordan. If for some reason those are gated or full, you can park by the stadium and walk north to the building.